When people are remodeling their homes, the bathroom is perhaps not at the forefront of their minds. After all, it isn’t part of the living space of a home. Most families, whether in Manhattan, Brooklyn or Queens, spend their time in the kitchen, living room and bedrooms; their lives do not revolve around the bath. 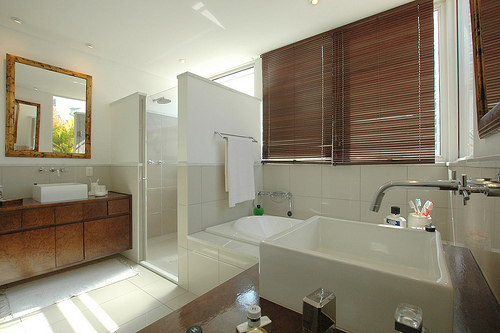 However, it would be negligent to forsake it, and a beautifully designed bathroom can bring elegance to a home. A half wall tile shower is a perfect location to display elegance and good taste in bathroom decor. 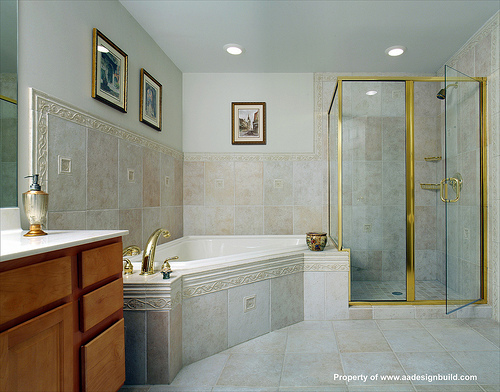 Bathroom remodeling projects are on the rise this year, as more and more homeowners begin tackling the project. 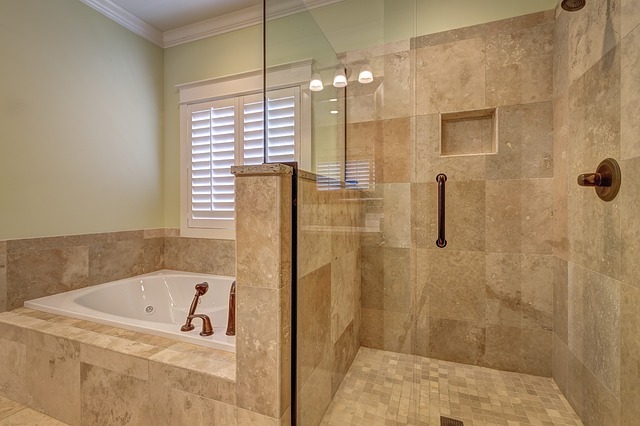 Functionality is no longer the main concern with bathrooms, and the cost of a remodel can be as much as $50,000 – hardly a mammoth sum, when the value added to a home is estimated. Shower tiles can be made of a variety of materials – they can be ceramic, porcelain, stone, metal or glass. Any variety of tile can be aesthetically pleasing, but porcelain and stone tiles lend themselves to beauty more easily than some other tiles. An important thing to consider is what is popular. Do most homeowners in Brooklyn favor mosaic porcelain? Are stone tiles enjoying popularity in Queens? While it is important for a half wall tile shower to feature a unique appearance, it should not be out of style with what is popular in Manhattan or the rest of New York. This being said, porcelain is often preferred, due to a high degree of customization options. It can be hard or soft, smooth or rough to the touch. It can be colored or decorated in a thousand beautiful ways, and it is versatile as well; it is good for accenting not only tile showers, but can also be installed on vanities and in other places to create a uniform aesthetic appearance. 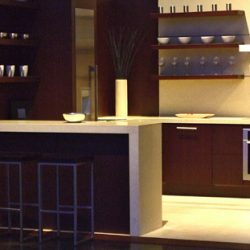 Porcelain, along with stone, is also favored over ceramic tile due to its durability. Ceramic tiles, although attractive in appearance, are not nearly as durable as stone or porcelain; neither are they as adaptable. Stone tile itself can be remarkable in appearance, and is often more durable than porcelain, but it does lack the customization opportunities inherently present in porcelain tile, and the cost will likely be significantly more. When choosing tile for the shower, it is important to select glazed porcelain, as it is more resistant to moisture, thus making it less likely to mold in a damp environment. Should shower tiles be installed in the shower floor to compliment the overall appearance of the installation, ensure that the tiles are slip-resistant as well. As far as color is concerned, gray is a popular choice recently, as it can does not stain as easily as white floors. Furthermore, it offers neutral tones with more variety and grace than white tile does. Functionality is not the only reason to install tile in the shower, however. Although porcelain tiles are desirable for their functionality, they enhance the charisma of a bathroom. A well-designed tile shower that matches the aesthetic charms of the bathroom will provide an excellent compliment to the room. It is also important to note that many of the nicer homes in Queens, Manhattan and Brooklyn will have lushly designed baths, and there is no reason to be an exception to the rule. Whatever design is decided for the half wall tile shower, the installation process is much trickier than merely laying tile on a flat bathroom floor. 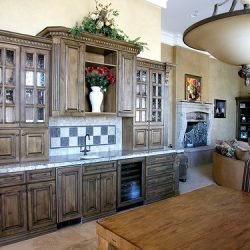 The services of a professional contractor from Manhattan, Brooklyn or Queens should be consulted for a hassle-free remodel and a more enchanting décor.